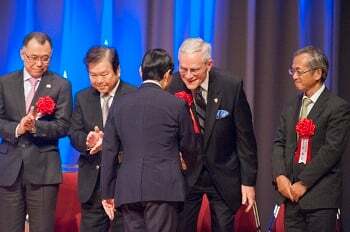 President Robert Stevens receives thanks on behalf of ASCE from Naruhito, the Crown Prince of Japan. 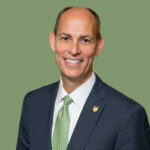 Commemorating one hundred years provides a special luster to an accomplishment, and in 2014, I had the opportunity to participate in several amazing events that highlight the global civil engineering profession. 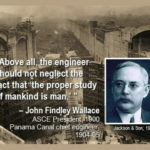 The centennial celebrations include ASCE’s Code of Ethics, the ultimate giga project – the Panama Canal, a leading Asian civil engineering society – the Japan Society of Civil Engineers, and numerous U.S. ASCE sections. 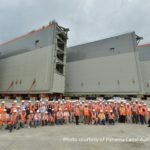 In October, I traveled to Central America to share in the history of this amazing 48-mile passage as part of ASCE’s 2014 Global Engineering Conference in Panama City. As you can imagine, an undisputed international engineering marvel, the Panama Canal was the most desired tour offered. In November, I traveled to Asia and visited both Singapore and Japan. It was an honor to join the Japan Society of Civil Engineers in another international centennial celebration—JSCE’s 100th Anniversary Commemorative Ceremony. 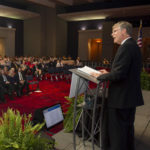 In my travels and work abroad, I see how ASCE is respected around the globe, and it is a significant tribute to ASCE and sign of our long and fruitful relationship with JSCE that, although there were representatives from many global civil engineering organizations in the audience, our organization was the only one that joined their distinguished speakers at the podium during this commemorative event. At the closing of the ceremony, Naruhito, the Crown Prince of Japan, stood up on the stage, bowed, shook my hand and thanked ASCE for our long alliance and the valuable work we have accomplished together.